reduced waste management operations costs. UTS Mobile’s GPS Vehicle Tracking and Fleet Management solutions tailored for the waste management industry, provide a high level of monitoring capabilities with up to the minute location information frequencies, making it easy to consider and improve the efficiency of ad hoc pick-ups like skip bins and dumpsters. 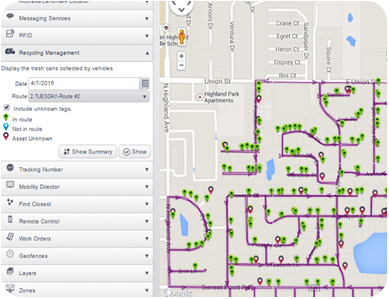 Cities, counties, and any other entity with waste management vehicles will be able to monitor and track in real-time. A wide variety of installation options for the GPS vehicle tracking devices are available. Reports and Analytics of Performance and Activities. analyzing operational data for maximum efficiency. 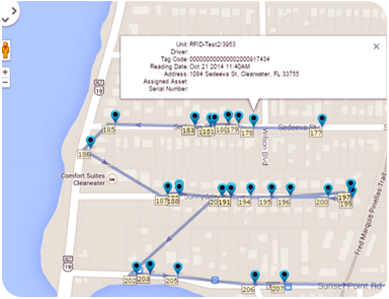 Keep Track of curb-side waste pick-ups by using RFID tags to collect data. Waste management entities will be able to manage more efficiently their collection process and monitor bins collected per vehicle during any period of time with the help of map representation of RFID scans to facilitate analysis and decision-making. Making optimizations for waste collection operations just got easier! Our Recycling Management Technology allows entities to have control of the corresponding trash cans or bins going to be collected (In Route). 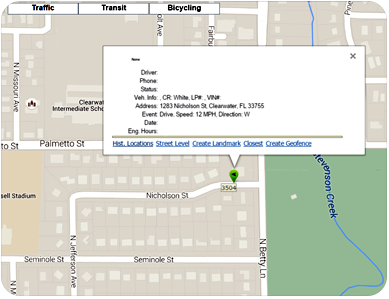 By creating and managing routes, users can view in the map a trail showing the trash cans collected by vehicle and their respective information and whether they were picked-up and visited in route as scheduled or out of route. Our technology is able to recognize unknown assets that were collected and display it as well in the map for easy location retrieval. Entities will be able to create as much routes as they need to fully cover the area of operation. All the data at your fingertips! Access your data with multiple reports customized for Waste Management operations and keep your fleet statistics on point. With RFID, route control analytics and vehicle performance based reports, be in control of each vehicle and their collection assignments. 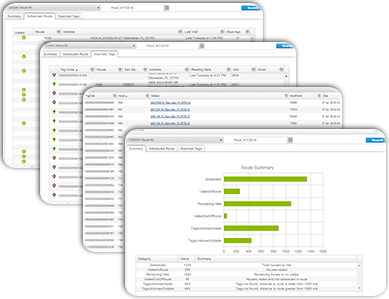 Reports and analytics can be generated 24/7 for key decision making.